ADOPTED! Layne was dumped at a rural Ohio dog pound right before Christmas 2013. 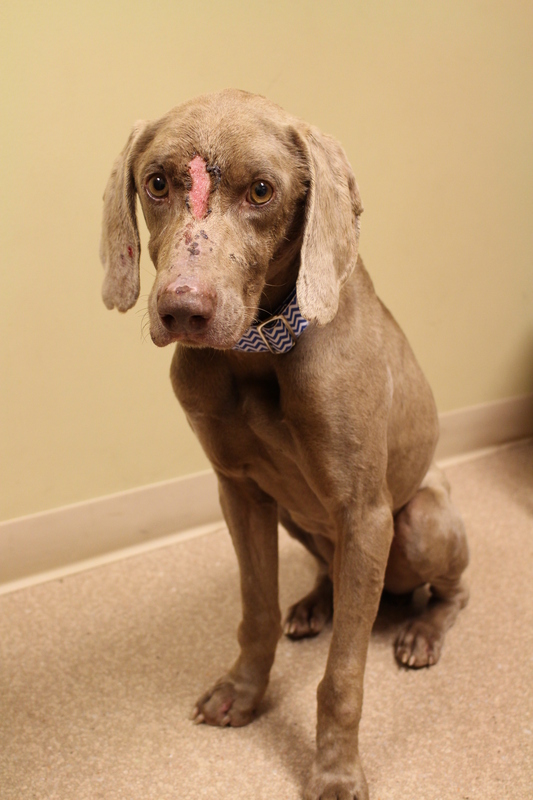 Weim Friends Rescue pulled him to safety as soon as we learned about his predicament. Layne is approximately 2.5 years old and was used as a stud for a backyard breeder. The couple was divorcing, so the dogs needed somewhere to go. 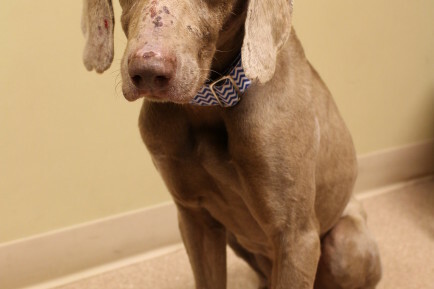 Layne had several infected bite wounds when he came into rescue, but all healed once treated. Layne is a super sweet boy who just might steal the loaf a bread if you aren’t looking. He was adopted by a Northern Kentucky family who loves his antics. Go, Layne!